Every now and again I'll put two nail polishes together and it's a bit of a eureka moment, I end up becoming obsessed with how it looks for ages. You know the type of combination where you sit admiring your nails all day, and when it's time to repaint you go for the same shades again and again while your other rainbow of polishes watch on jealously? It's weird because in general, lilac and purple aren't really colours that especially do it for me (sorry purple, you'll never be the new pink) but I definitely make an exception when it comes to nails. In fact if I had to choose one nail colour to wear for the rest of my life it would probably be something like this, it's a bit different to a standard pink but is still quite muted for day-to-day wear. Although pastel-y colours are more popular over the spring and summer, I think this is a good all rounder that wouldn't look out of place in any season. Apologies for my unimpressive nails modelling the shades; I always keep them this short, because quite frankly it's heartbreaking when one snaps off just as they start looking good! I'm quite new to the world of Essie polishes, but I can now see what all the hype is about. I love the wide brush and the formula of most shades I've tried is opaque in two coats. My two previous lilac favourites 'Prickly Pear' and 'Berry Icecream' by Barry M haven't been getting much attention since 'Bond With Whomever' came to town, although all three are similar shades and well worth checking out if you're a fellow lilac nails fan. 'Stunning' is definitely my favourite glitter topcoat of the moment. It's full of small and large pieces of holographic glitter which make it ultra sparkly- the glitter pieces reflect a rainbow of different colours in the light (ooh pretty). Sadly my camera has dulled some of the shine on the nail swatch- but take my word for it, it's amazing! What's your favourite nail combination at the moment? Have you tried either of these shades? Pretty combo! 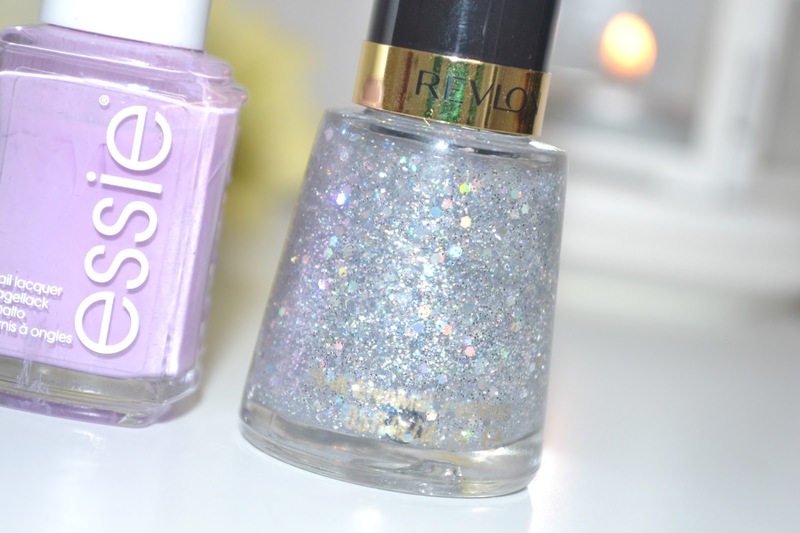 I love combos like these, as you can tell from some of my NOTD posts, hehe. I have this Essie shade, and it's really pretty on its own. That glitter is gorgeous too! Super cute nail-art Stacey. That lilac is just too cute! 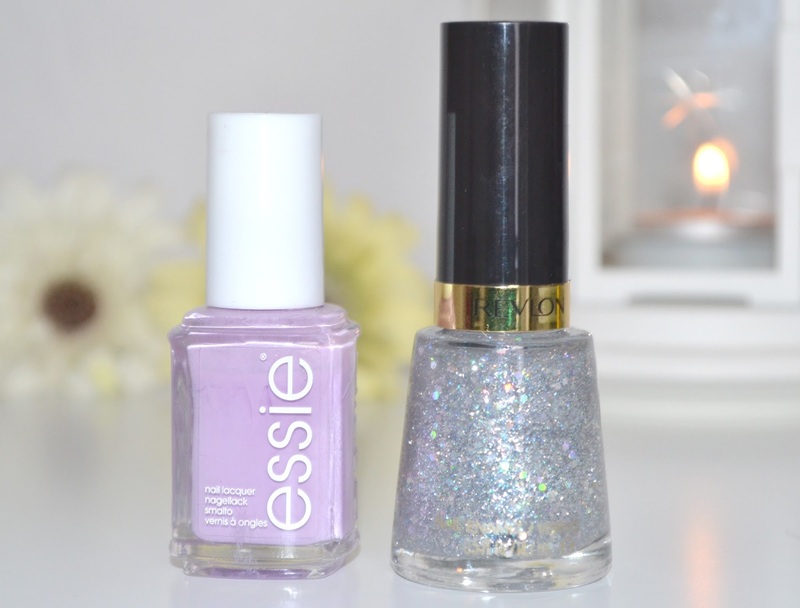 I love the lilac colour, im currently painting my nails right now in Essie's 'Muchi Muchi' they have the best formulations ever! That's a brilliant combo ! I love these 2 colours together. Purple is one of my favourite nail colours too! I love the look of the essie nail polish! Such a pretty colour and you can never go wrong with the a pretty glitter! Those do look fantastic together. They look gorgeous together I adore the lilac colour - it seems to have been forever since I did my nails I shall have to get my polishes out and get playing :). 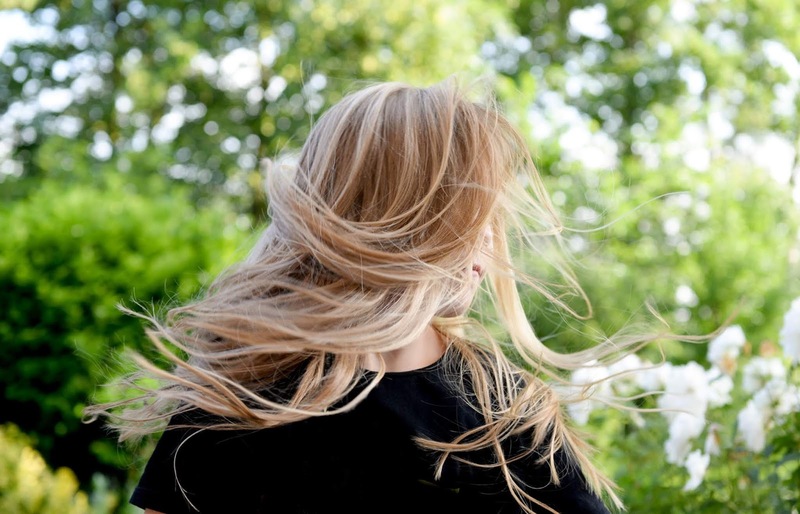 Thank you for linking up to the I Love My Post Blog Hop. I absolutely love this combination - so subtle but adorable. Hi Stacey! I'm loving 'Bond With Whomever' - it's definitely the next one on my Essie list. What a beautiful combo!! 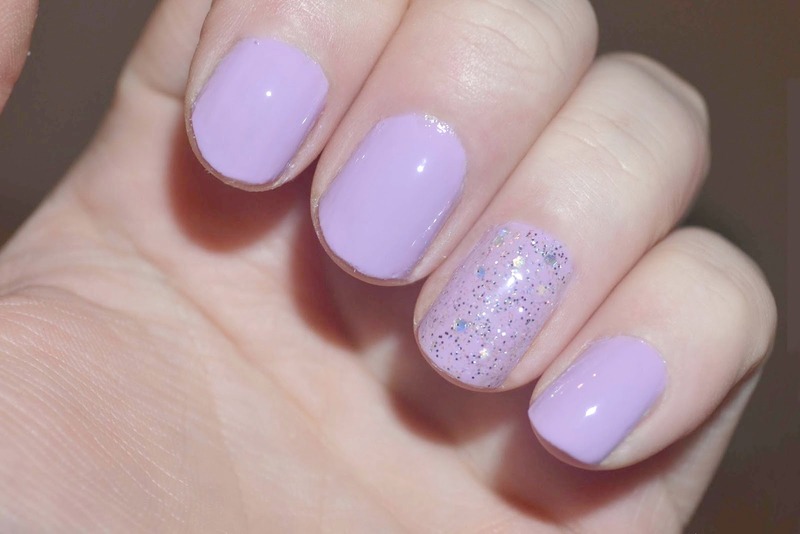 I'm all over purples right now & i need to get this Essie colour!